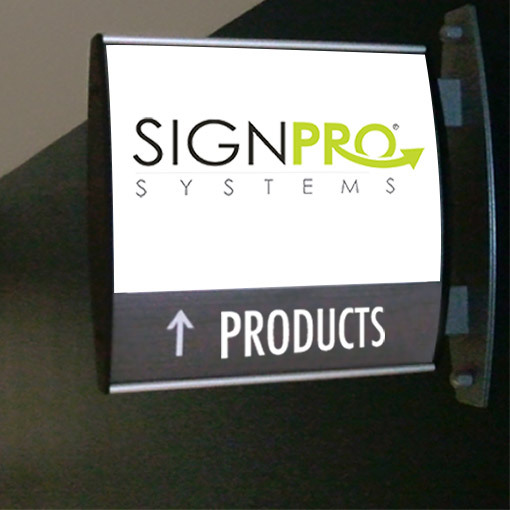 SignPro Systems® (SPS) is a trade only supplier of wayfinding signage and signage solutions. SignPro products can be purchased through a network of authorized SPS dealers and resellers. SignPro frames and solutions are the same as competitive solutions, only provided with better service, better price and faster turnaround times. If you would like more information on SignPro Systems' wayfinding and directional signage solutions, please contact us today and a representative will get back to you. If you are a trade reseller and you are interested in becoming a SignPro dealer, please fill out the Become A Dealer form.